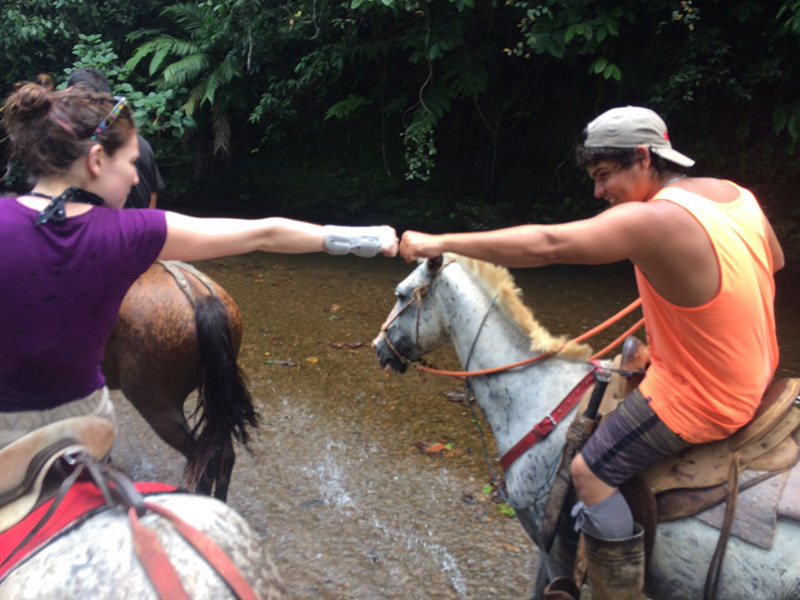 For those interested in visiting the outlying area, Corcovado Expeditions offers half-day horseback riding tours. Departing just a few minutes walk from your hotel, our specialized naturalist guides will lead you on well maintained paths and roads that visit all the desire able spots of this remote rainforest. Our horses are obedient and trained specifically for this type of activity. Whether you’re an expert rider or novice, our horseback riding tour is a fantastic way to spend a few hours exploring the local flora and fauna.